Leather Cleaning Essex – Here at Careclean, we have been offering carpet and upholstery cleaning in Essex since 1984. This includes leather cleaning and maintenance. 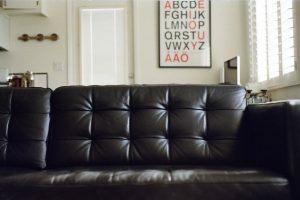 Recently we discussed the value of getting your leather furniture cleaned and protected (click here if you missed the blog). Today, we are going to go into a bit more detail about how Careclean carries out this leather cleaning process. Next we apply a Hyde Food; remember in our recent blog, we discussed the value of keeping the leather moisturised so it’s soft and supple, just like we do with our own skin! Think it’s time to get your leather sofa or armchair cleaned? Book with Careclean to ensure the longevity of your beloved furniture. We CONDITION and PROTECT all leather furniture we clean. Visit our leather cleaning services page to find out more, or give us a call on 01245 323989 to book in your free quote.